Two months ago exactly, I appeared on TV to talk about the concept of eliminating the personal and corporate income tax in Louisiana. Now Governor Jindal has unveiled a specific proposal. So let’s keep our fingers crossed that Gov. Jindal’s proposal gets a friendly reception from the state legislature. If he succeeds, I imagine he will vault himself to the top tier of Republicans looking to replace Obama. And, who knows, maybe he can reinvigorate the argument that we can replace the corrupt internal revenue code with a national sales tax? P.S. 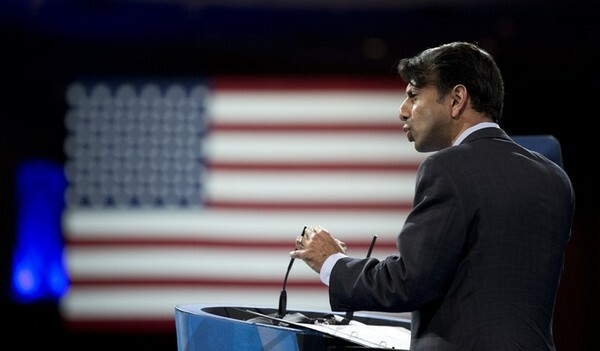 Jindal is good on more than just tax policy. He’s already implemented some good school choice reform, notwithstanding wretched and predictable opposition from the state’s teachers’ union. This artile is reprinted with permission from the Cato Institute.